“I have been around American Billiards & Outdoor Recreations all my life. It was only natural for me to carry on the family tradition and take over this business from my father in year 2001. Even while studying at West Virginia University, where I earned my degree, I dreamed about running the family business. I still vividly remember when, as a little boy I watched my dad, Fenner G. Hart Jr., put the finishing touches on a product he was servicing or selling. It was his baby. He really took great care of his customer. We strive more than ever before to adhere to the same principals set in motion by my dad. We must provide our customers with exceptional service, knowledge, and expertise on all the products we sell and service. Furthermore, we must provide great products with a long history of endurance, beauty, and functionality. “ I was born and raised here in the great mountain state of West Virginia. I grew up in the small town of Clendenin and graduated from Herbert Hoover High School. My career choice is here at American Billiards & Outdoor Recreations. It is where I will do my best to provide you with an exceptional sales and service experience for all of our products we have to offer. 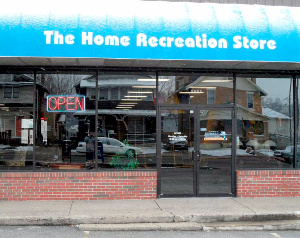 For a small local business, we have a lot to offer compared to the big box stores. With that being said, come by anytime and see our inventory. At least make us an option! Our Founder is Fenner G. Hart Jr. For a little history, check out this interview from 1977. What We Are & Where We Go! is a family-owned and operated business located in Charleston West Virginia and serving all of the Tri-State. 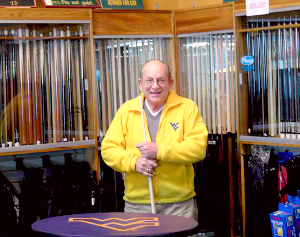 Since Fenner Hart Jr. started building pool tables in his own basement and selling them to the neighbors in 1969, the business has changed dramatically, but memories and the “heart” of the business have not. We still offer the best quality products around, the friendliest smile and the most professional service you can find. American Billiards and Outdoor Recreation is a Premier Retailer of Billiards, Pool Tables, Hot Tubs and Spas ,Portable Spas, Kids Playsets and Swing Sets, Trampolines, Portable Spas, In-ground Basketball and Wall Mounted Hoops, Game Tables (Shuffleboard Tables, Ping Pong Tables, Foosball Tables, Air Hockey Tables, Poker Tables, Texas Hold’em Tables) and more. We sell, service, deliver and install all of our products (Hot Tubs, Portable Spas, Pool Tables, Playsets, Trampolines, Inground Professional Basketball Hoops and More). Plus, we offer the best prices and selection of everything we sell! Our Brands Include: Olhausen Billiards and Pool Tables, Caldera Spas and Hot Tubs, Fantasy Spas and Hot Tubs, Woodplay Swing Sets, ChildLife Playsets, Springfree Trampolines, Goalsetter Basketball Hoops,and Legacy Pool Tables. Our delivery and service areas includes but is not limited to Charleston, Huntington, Parkersburg, Huntington, Clarksburg, St. Albans, Teays Valley, Milton, Hurricane, Beckly,Summersville, Elkins, Morgantown, Lewisburg, Ashland, Wayne, and more fine areas of West Virginia, Ohio and Kentucky. We are three generations strong and have been serving WV and the Tri-State for over 47 years. We are proud of the fact that this business was and still is built on our ability to service everything we distribute. We only sell trusted brands that have been proven “thru the test of time” as quality products. We want to encourage healthy physical activities that enables communication with our children, spouses, family, friends, and co-workers. Weather it’s a game of pool, basketball, ping pong, or a soak in a hot tub, we know that new doors of communication get opened that lead to knowledge of what is going on in the lives of those we care about! Physical activity is not only great for the body but also our soul. 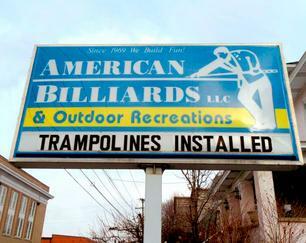 Let American Billiards & Outdoor Recreations become part of your family. Come in see us.